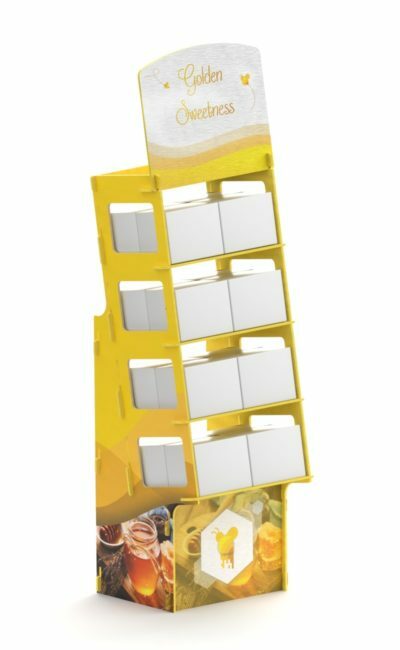 Stand display for honey. 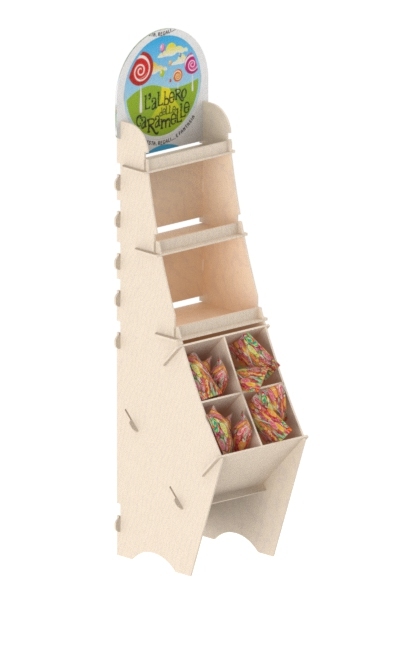 Interlocking cabinet without screws with print. 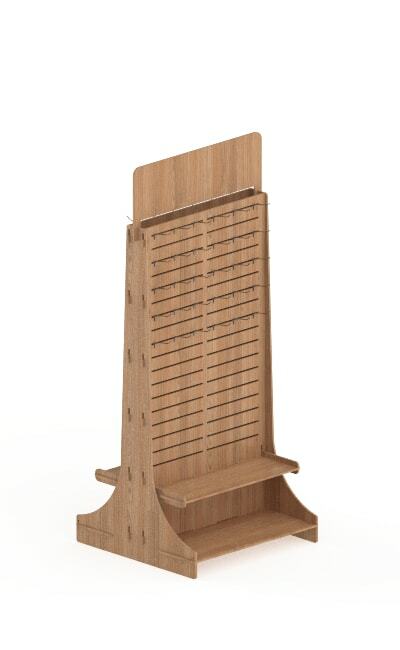 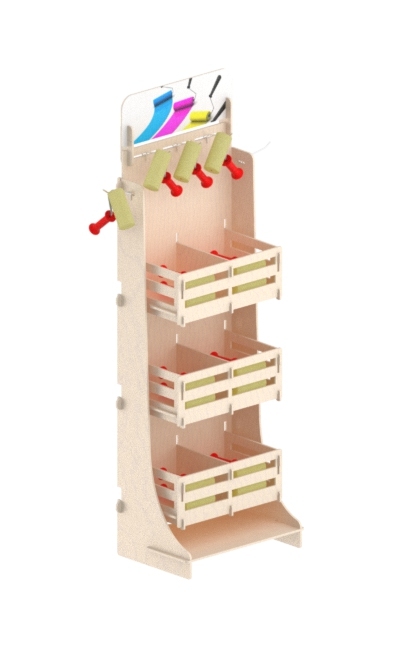 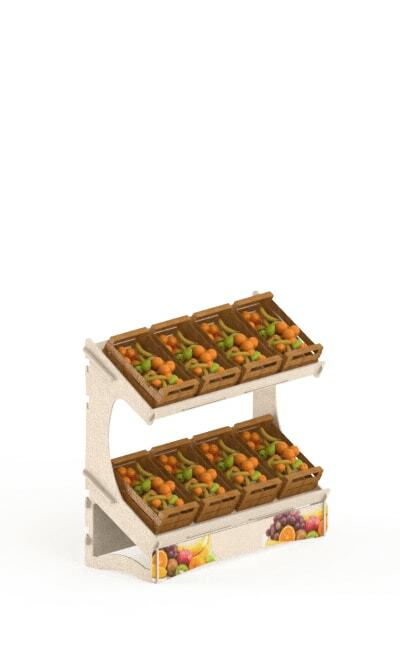 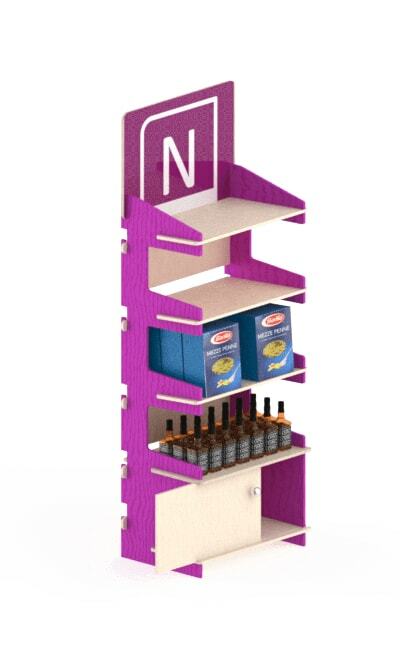 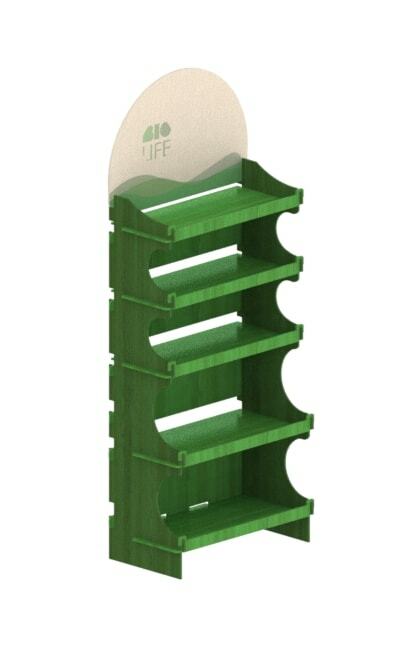 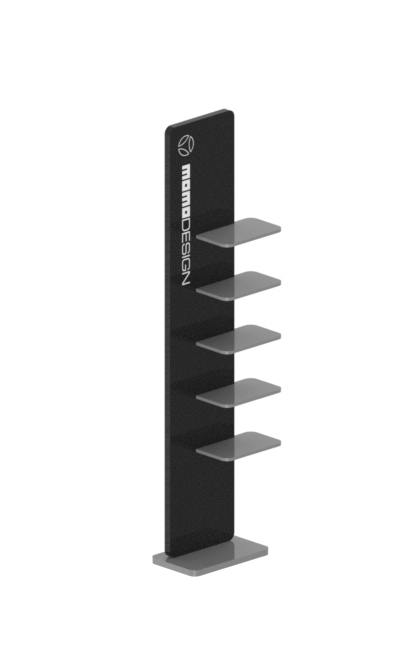 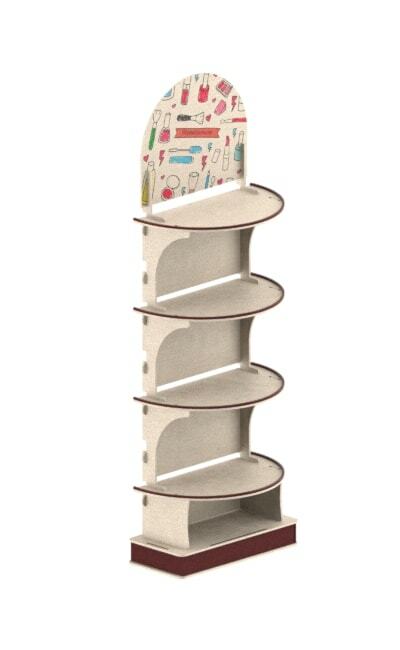 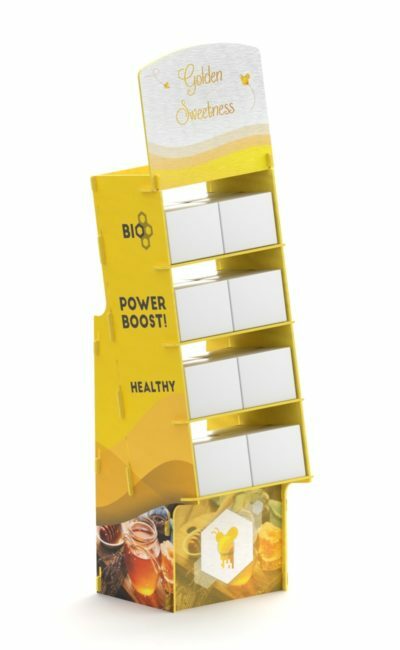 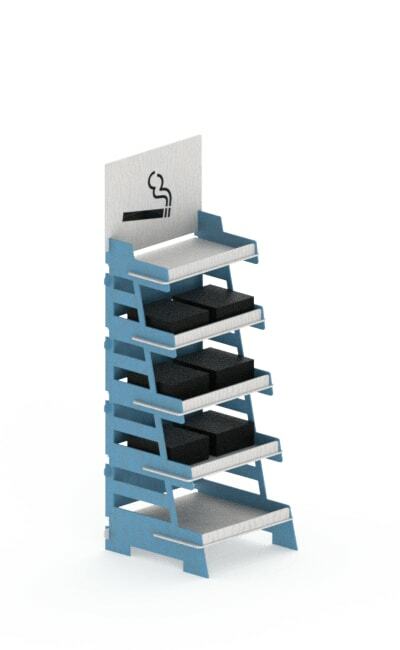 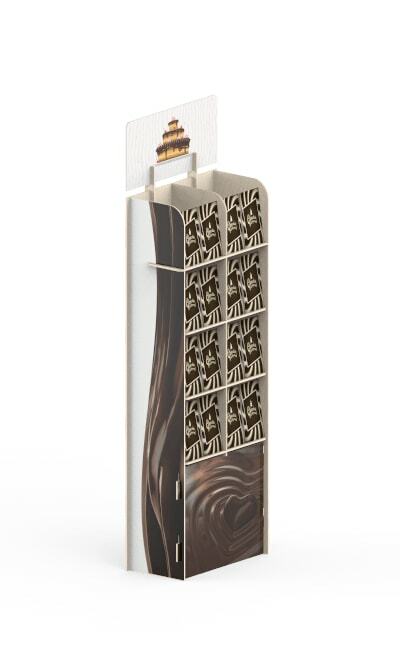 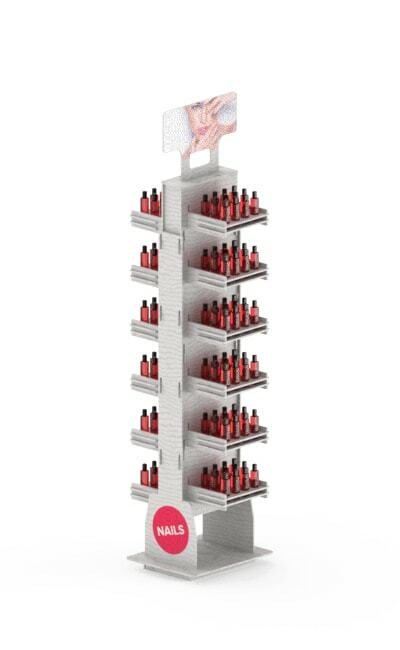 Promotional shelf display for shops with printing and personalization on request. 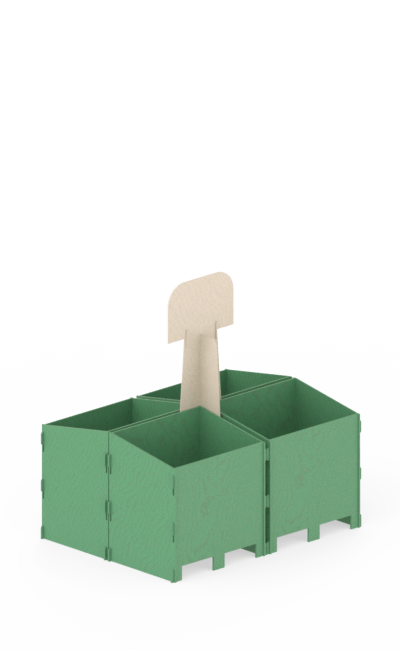 Indoor furniture ideal for boxes and boxed products. Ample space for printing your logo and excellent product visibility.